The release date of Android 7.0 Nougat is drawing closer, even as Google has released the last in a series of developer previews -- Developer Preview 5 -- for the upcoming Android OS Version. If you don't know already, a developer preview is kind of a software update where app developers for Android get to view new features in the upcoming OS Version update, test them and start incorporating them into their existing and new apps. It is received and installed on an Android-running smart device (phones, tablets) and works the way a normal software update or bug patch works. However, to be able to use these developer previews, you would need a compatible device. There's a list of devices that are eligible for developer preview releases, and most of the devices on that list are Nexus devices, which are owned by Google. More on that later. Developer Preview 5 is the fifth and final delevoper preview release prior to the official rolling out of Android N (Nougat) to devices later this year. It doesn't really include new features to be expected in Android N, but includes the final APIs for Android N and other tools to make sure your apps are ready to go by the time Android Nougat is released. Developer Preview 5 is basically for Android Developers who want their apps to work with Android Nougat to make sure their apps can handle the changes to existing android features in Android N, as well as to incorporate new features introduced with Android N into their apps. The latter is optional, of course. Android developers are encouraged to, after testing Developer Preview 5, publish their apps to Google Play as soon as possible. If you are working on a not-too-large scale and you aren't sure of how your app(s) would perform on a large variety of devices, you can use Google Play's beta testing feature. This feature allows you to release your app(s) to a group of selected Android users, called beta testers. These people test your apps on their various devices and report back to you on the bugs that need to be fixed in the app, features that could be made better...etc, and it's up to you to implement them. Beta testers are normally experienced and know what and what to look out for in a beta app, so don't be afraid.If you are an Android app developer and you've not been hibernation in one ancient forest since the beginning of this year, you should have heard of Android Developer previews. If you fit the above description, all you have to do to get the Developer Preview 5 for Android N is to enroll in the Android Beta program (using an eligible Android device) and you'll receive the preview over-the-air in no time. If you are not an Android Developer and you want to see what this developer review contains, you can flash the update manually.. Lest I forget, Google's Android Engineering team are hosting a Reddit AMA to answer all technical questions about the Developer Preview 5. "Thanks so much for all of your feedback so far. Please continue to share feedback or requests either in the N Developer Preview issue tracker, N Preview Developer community, or Android Beta community as we work towards the consumer release later this summer. 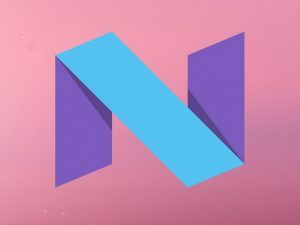 Android Nougat is almost here!"